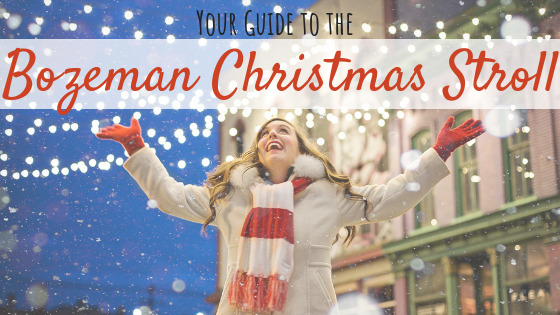 Nothing kicks off the holiday season in Bozeman like the annual Christmas Stroll. 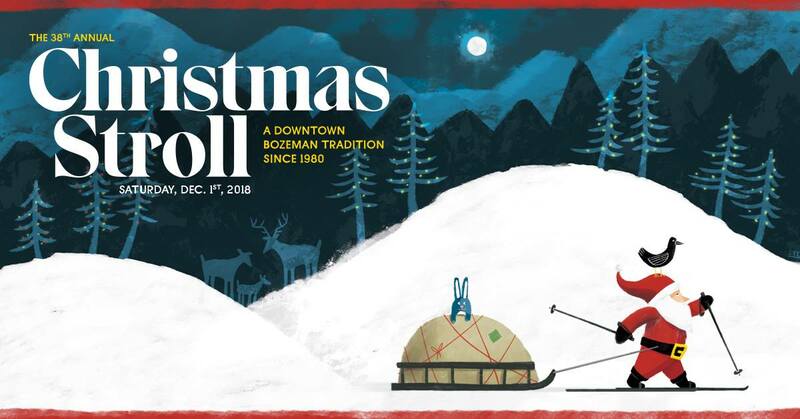 Celebrating its 38th year, the Downtown Bozeman Association has more events than ever planned for this Saturday, December 1st. Check out the full rundown of happenings, vendors, and activities below! *4:00 PM - A ONE-WAY Horse-Drawn Wagon Ride from the Bozeman Public Library to Rouse and Main Street to help bring people to the Parade. 4:00 to 7:30 PM - Sweet Pea Festival and First Security Bank host the 2018 Gingerbread House Contest entries and winners at the Jacob’s Crossing Lobby at 424 East Main Street. 4:30 PM - The Christmas Stroll Parade Begins at the Emerson Center with the lighting of the tree on their north lawn. Then, Dave Wooten, our “2018 Master of Ceremonies” leads the lighting ceremony down Main Street from Grand Avenue to Rouse Avenue along with the help of the Chief Joseph Middle School Choir and the holiday spirit from the Bozeman Community. To Join the Stroll Parade: Please meet us at Grand and Main or at any of the 4 lighted "Spiders" at the 4 Main Street intersections. 4:30 to 7:30 PM - Main Street is filled with over 40 Food Vendors offering a variety of festive fare (CLICK HERE for menus and locations) and over 40 more Activity Vendors raising money for local non-profits organizations and providing; live music, carolers and other festive activities (CLICK HERE for activities and locations). 4:30 to 7:30 PM - Downtown Businesses feature live music, free cocoa and cookies, and holiday fun of all sorts. The Stroll is a great chance to get get a few holiday gifts checked off your list (CLICK HERE for more info and locations). Once Upon a Child will be handing out DIY craft ornaments and candy canes. We will also have some free kids apparel as giveaways while supplies last. Photos are taken by 406 Photo. Get one FREE picture through F-11 Photography. Children’s Museum of Bozeman and Motion Athletics Blaze Cheerleaders help kids decorate cookies and create holiday ornaments while waiting for the moment with Santa. This activity is hosted by Ted’s Montana Grill. Travel Café, Montana’s Travel Agency is hosting hot drinks inside the Baxter Ballroom. *5:00 to 7:30 PM ONE-WAY Horse-Drawn Wagon Rides at Soroptimist Park (corner of Main and Rouse) to the Bozeman Public Library and back. While waiting for the wagons to arrive, enjoy complimentary “Hot Dr. Pepper” drinks provided by Lehrkind’s Coca Cola and Venture Church. *Denotes activities that require a 2018 Stroll Button for ONLY $4! CLICK HERE for the 2018 Christmas Stroll Button Sales Locations.